How good is Supagard? - is it worth it? "How good is Supagard? - is it worth it?" "Three year guarantee. Is it worth the paper it's written on?" When I surf the interweb I often come across discussions about various paint sealants - often the question that gets asked is "Do they work and are they worth it?". It's a reasonable question and it deserves an answer. The answer is "yes", but I don't expect anybody to take my word for it. Happily, I am able to offer ample evidence to support my opinion -- read on! At this point I wish that people could see what I have seen. We are in a rather unique position because cars that have been paint sealed by us often come back every year so we get to see how the sealants are coping. That's how we know Supaguard works just the way it is supposed to. SEAT Arosa treated seven years previous. The car is in amazing condition for it's age, despite a minimum amount of maintenance. This car was new when we applied the Supagard package and handed it back to Julie, the proud owner. Seven years later it came back again as Julie was trading it in for another car. I need to stress that Supagard is guaranteed for 3 years. Despite never waxing or polishing this car for 7 years, Supagard has given astounding protection. Here is yet another car we treated with Supagard long ago. This one is 5 years old and looks like a new car. We find that many people who have Supagard get it because they want ease of maintenance, they don't want to wax or polish, and this vehicle hasn't been. customer commented on was just how easy it was to keep clean. 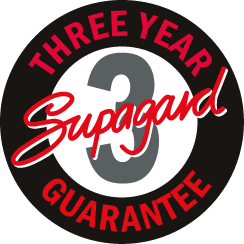 They thought Supagard was a 5 year sealant, they were quite suprised to find out it is actually three 3 year! Toyota Rav4 - Treated 6 years previous. This car gets valeted about once a year at which time it is waxed. So unlike the car above, we can't claim that it's never been waxed or polished, but the maintenance has been minimal. None-the-less, the car is in superb condition. I inspected the car in detail looking for faults. Read the article to see what I found. A three year old Ferrari treated with Supagard. This car is one of our regulars, Supagard means maintenance is easy and keeps this very special car in pristine condition. Having demonstrated how good it is, and shown that it not only does what it says on the tin, it does it for far longer than promised, we come to the tough question, "Is it worth the money?" Many people spend money to make their cars look good when they want to sell them so they can get a higher price. As you can see from the cars pictured on this page, they look great. It's worth baring in mind that they have looked this good the whole time the owners have had these cars. And these cars will and do sell quickly and for more money because they look so good. How much more money? That depends on the car, but under normal circumstances it will more than cover the initial investment. Just take a look at any car value guide, when you come to sell your car you will find the difference between a car in poor condition and one in "VGC" condition is considerable at an average of 15-20% -- that can equate to £4,800 on a high value car like a 3 year old Porsche Carrera. If you are one of those people who just loves washing and waxing their car regularly, all year round, come rain or shine... then Supagard probably isn't for you. There's no doubt, a strict maintenance regime will achieve the similar results, and if you are prepared to do the work yourself, it may even work out cheaper. All-in-all, we think Supagard is worth the investment. What do you think? Please leave your comments below. If you'd want to know more about Supaguard and paint sealants, please take a look at our FAQ. I have had my new Honda Jazz treated with supagard, it certainly looks great. I also received a complimentary pack with some paintseal cream in, should I use it on my motor now? Sure! That's what it's for. The 'Paint Cream' can be hard work so don't feel you should be using it every couple of weeks, but every 6 months isn't such a bad idea. Most good waxes should last that long and Paint Cream is in that sort of league. I've a Mercedes CL500 Coupe 02 model in the Green Black Metallic and was treated with the Supagard treatment. What would you recommend to bring the coachwork back to life? What treatments would break down the finish or not be advantageous to use other creams/treatments? Some of the Supagard will still be 'in' the paint making it harder, but after 5 years it will have worn away from the surface meaning that it may oxidize. Your car probably just needs a good polish. There are a range of options -- you could have the car buffed by a professional and another coating of supagard applied. Or you could use a product that waxes and polishes at the same time... with these, doing it often has an accumulative effect. The paint will get shinier each time you use it, and because it gets shinier, it gets easier to do. I have recently purchased a Jaguar XKR in black, and I would like it to have the ultimate protection with the ultimate glass look finish. It has already been supagarded and looks superb, but would it be even better if I had it covered again or wouldn't it it make any difference? No, I don't think it would make much difference. Unfortunately, the answer you are looking for is quite technical... but here goes! You can get a good shine through various different means, different products are formulated in different ways to have different qualities which are good for different things. Supagard is a very thin product, it's very clear, but it does not contain fillers or diffusers which can help hide scratches. A new car is very shiny when new even without products -- any professional will tell you that the secret to a shiny car is in the preparation, and it's that preparation that you are seeing through the very thin clear Supagard. So adding another coat of supagard wouldn't do much good... in much the same way that you can't see through 2 sheets of glass any better than you can see through one. In fact, you lose some of that optical clarity. However, there are other products that you could apply on top of Supagard which contain different ingredients which have other qualities, for example, AutoGlym's Extra Gloss Protection has a wet look, although it this means that on a black car it could look smeary. You could try something like, Protective Sealer Polish, this could work better, but what you gain in gloss, you might lose in optical clarity. You will have to try it and see what you prefer. I'm about to have Supagard applied to my new black Mercedes..but how do I check if it's been applied properly..?? Good question... I don't know! Most paint sealants are invisible, and designed to be that way. You won't really know if it was incorrectly applied until problems start to appear as time goes on. So it's a question of trust. We always recommend asking lots of questions and even asking to see the valet bay and meet the valeter. I am awaiting delivery of a new Alfa 159 in Metallic black. If I have the Supaguard treatment done after delivery will there be a need to remove any polishes etc. before i proceed or can I just apply it to a clean car? Also; I am about to put my Audi A4 up for sale and only learning about Supaguard today, what would you recommend to remove any old residue of previous deposits etc? Yes, you have to remove the wax otherwise the sealant won't bond to the paint. We usually use a fairly strong concentration of AutoSmart XL4, which of course, you then need to get off again fairly quickly. Then we check for fallout, if it is anything more than a sprinkle, we would acid-wash and then neutralize... obviously, supagard is works best when it is sealing all the nastiness out, not sealing it in!!! We would then inspect the paintwork for swirls... these sealants are not like retail waxes, to be as strong as they are, they contain no fillers, diffusers or glossing agents, silicones, siloxanes etc. So they won't hide swirl marks and scratches. Basically, you seal in what you got, so you have to make sure that what you got is near enough perfect. I have a Toyota Rav4 which has been superguarded, it's only a few months old and has had a bad scrape, when the body work is repaired how do you go about getting that part re-superguarded? After giving the paint about a week to fully cure, you could bring the car to us and we will do it for a small charge, otherwise, contact Supagard.co.uk and they will be able to give you the details of somebody in your area who can do it. I have recently had Supagard added to my 1 year old car. I have noticed how expensive the supagard aftercare products are. How good is the supagard paint sealant and shampoo compared to other makes? Would you recommend using supagard or a different make i.e Meguiars, auto glm etc. Somebody recommended to me applying a sealant and then waxing using a carnauba type as it will give a better colour to a silver coloured car. If I wax, how does it effect the next coat of sealant? Somebody at work told me I had wasted my money and I would have better results using different products and paid a detailer to do it. I am a professional car valeter and I have Supagarded and carnauba waxed over the top and have found the effects to be stunning even on a silver car so i do not think you are wasting money doing this. I do Supagard regularly and I believe it is the best product of its type. I am buying a titanium silver 330 which is 2 years old. It is very low mileage and looks like new. The salesman is pushing Supaguard treatment. Does this sort of treatment benefit non-new cars? And what sort of cleaning/care regime is required? Supagard is not dependant on age. 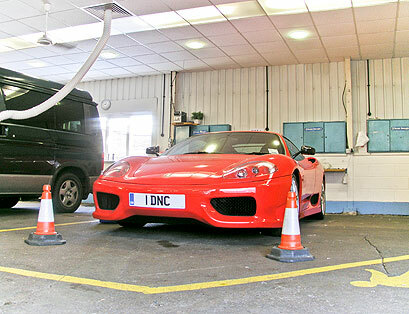 The supagard treatment is guaranteed on any age vehicle provided the vehicle is in good condition inside and out. You need to examine the vehicle and ensure that there are not any deep chips or scratches on the paintwork. Please note that plastic mirror housings and rear boot spoilers are not guaranteed on used cars. In order to establish whether the salesman is selling Supagard because he believes in it or whether he is pushing it for profit you could ask about the plastic mirror housing and boot spoilers as it clearly states that these are not covered by guarantee. I believe that Supagard will benefit both new or used cars whose paintwork is in good condition. The Ultra Pro kits contain all you need for looking after the paintwork etc. for answering questions in my absence. You sound like one of the good guys -- please post up your contact details so people can find you. Thanks for the msg. Do you work for Clean Image? I had supagard applied to my Black Honda CR-V, and have noticed some tar spots, how do i remove the tar without affecting the supagard. Also can you use any other quality shampoo when the supagard one has run out, or should i continue to using supagard. I have just brought a Hyundai Santa fe CDX+.It has done 18,000 miles and looks like new. However, there are couple hair line scratches on the body of the car, can Supaguard treatment. remove these hair line scratches and give it a "new car" look. I believe that you can get it off with the paint sealant cream... otherwise use a tar remover followed by the cream. You can use any good quality ph balanced shampoo with Supagard. Supagard is a top coating, it will seal in what is underneath -- it doesn't correct paintwork defects or contamination. This is why it is important to get a professional application. Hair line scratches can usually be removed by a professional, but this isn't part of the Supagard treatment. I've always used Autoglym products on my cars with excellent results. However I've just bought a 6 month old Nissan Note (colour Blade Silver) from a friend which was given the full Supagard treatment from new by the dealer. If I want to improve the shine and add additional protection now that the Supagard has weathered a bit is there any reason why I can't apply Auto glym Extra Gloss Protection on top of the Supagard sealant? Would there be any adverse reaction between the two sealants which could damage the paintwork? There are no blemishes on the paintwork and I don't want to use anything with abrasive action. Extra gloss protection actually comes in the AutoGlym LifeShine sealant kit. It will be safe to use over all the sealants I know of. I've just bough a brand new Astra 3 door in Met Black and it has been supaguarded by the dealer. I was instructed to just rinse dirt off then shampoo with the stuff in the aftercare kit, rinse and let it dry. Is it ok to dry the car with a chamois or will this lift the protective seal off? It is quite save to use a chamois, synthetic chamois, microfibre or blade. Although Supagard are now doing a quick drying rinse agent, which is what I think you are talking about. In all honesty, we haven't tried this stuff as it doesn't really fit in with the way we do things here... all our water comes through a pump, and we use purified water for rinsing. But not to worry... Supagard's man in the south east has just bought a new car, and where do you think he is going to take it to get Supagard applied? To us of course! So we'll make sure we give it a go and report back. But in the mean time, if you want to chamois, do so without fear... although I would recommend a synthetic chamois which is easier to use, or a microfibre drying towel. Iv just done supaguard myself as im a painter and usually use professional paint sealants as i work for volkswagen our company recommends A-Glaze and personally i prefer Supaguard i used the yellow and red sponge cant seem to be able to buy it as i got it from a good friend. I was just wondering if i can use Zymol as i have heard this is the best quality because of the carnauba Wax.???? I have enquired about having Supagard applied to my recently purchased Motorhome. I telephoned Supagard directly, and i am under the impression that they will come out and seal my MH at a place that i choose. The chap i spoke to mentioned that the date for booking my vehicle in, would be subject to fine weather. Should the whole prep and sealant not be carried out inside? Indoors would be the ideal... but unfortunately, not every company has the facilities to do a motor home or caravan indoors. Even we struggle getting some bigger motor homes indoors, especially since we had a suspended ceiling put in! It is possible to do a vehicle outdoors if the weather is okay. There should be no adverse effects. We do sometimes do vehicles outside on a nice day... just because it's nicer to work outside than in. But then again, should it look like rain, we have the option to bring the vehicle in. This is why few mobile valeters are approved by the sealant companies. They don't have the option, so there is the temptation to do it when it's too hot, too cold, or to rush the job to get it done before the rain starts. ...but if you are doing it through an Supagard approved valeter, you will be fine. Supagard are a great company who car a great deal about their reputation, and I can guarantee they will look after you. Hi, I just picked up a new 09 plate Audi A4 cab, and a friend suggested getting it supagarded. Would this stop paint chips on the front of the car? just wondered what the plus side of doing this is? Supagard will make the paint a little stronger, but it is not THE magic answer to stone chips, it can only help. The best way to avoid chips in my opinion is to d keep your distance from the car in front. However, there are other advantages to Supagard, so I'd definitely recommend having it done. I am thinking of having my 1 year old chrysler 300 supagarded. I usually have the car washed by hand at a car wash, they use a power washer to initially get the worst of the dirt off before they shampoo it, would it be ok to continue to have the car washed this way, if I have the supergard treatment. ive just bought a brand new astra in olympic white - had it supagard'd by vauxhall dealer. i enjoy washing my car etc - is it safe to use maguiars wash/snow foam/polish/ wax on it, straight away or how long should i leave until i can do this? A week should be fine. But you shouldn't need it. The ar will stay glossy anyway. If your a keen car shine enthusiast. Then yes you can make it a bit shinier. Take a peek at our mammoth paint sealant FAQ. It has all the answers you are looking for!. Paint Seal Cream and the rest of the range. Article: Supagard Review - Is it worth it?